This book will give the user an idea about how a complicated shape can be constructed by using simple two dimensional elements. The book contains 10 shapes and 8 projects. The user can cut the 2D shapes and join them together to form a 3D object. The book can be also used in schools, colleges, and industries to practice geometrical construction techniques. 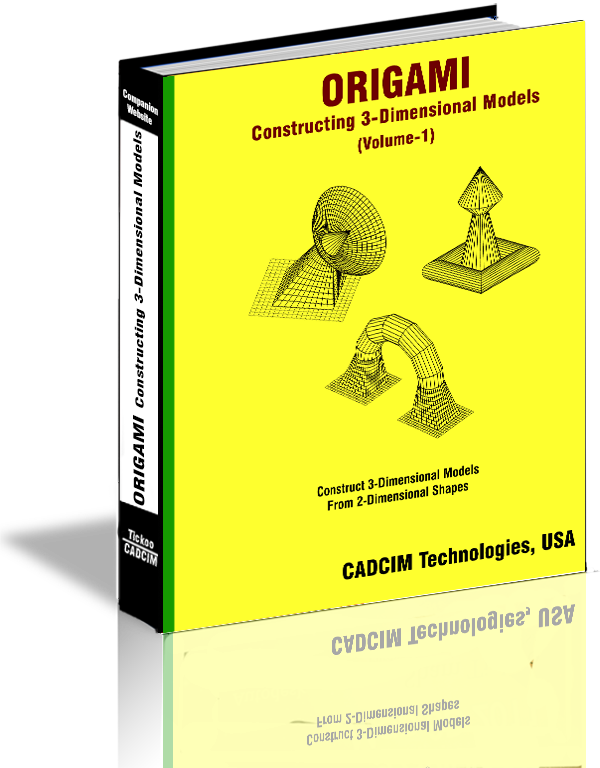 In the computer aided design/drafting environment (CADD), the shapes and projects contained in this book are excellent examples for learning 3-dimensionsal drawings, solid modeling, and rendering. It can also be used in drafting classes to visualize the shapes for drawing orthographic, auxiliary, section, and isometric views. In industry, this book can be used to train sheet metal fabricators to fabricate different shapes from flat layouts.